Custom Pivot Pins are available for “off-angle” installations. 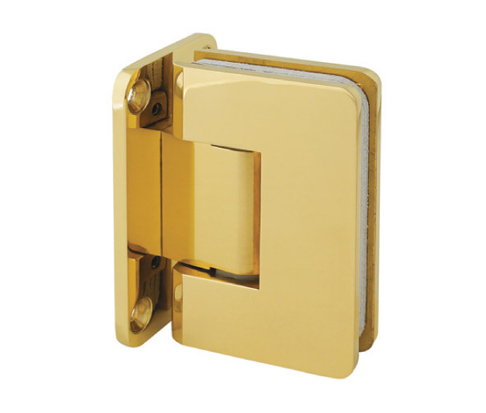 If the Standard Reversible 5 degree Pivot Pin contained in the hinge does not assist in closing the door to the position desired, you may specify the angle needed for a custom Pivot Pin. 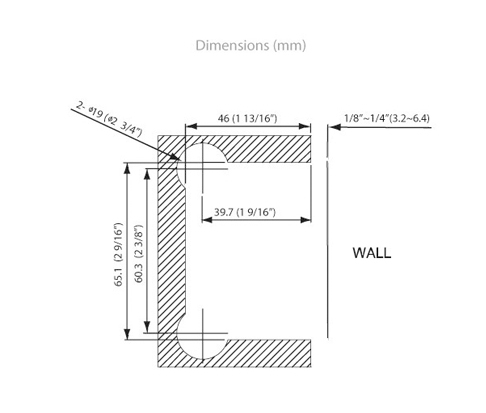 Used for Standard Wall to Glass installation. Available with full back plate and short back plate. Short back plate allows the glass to be closer to the wall.